Reading Rainbow episodes aim toward building self confidence in students. 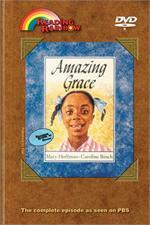 Amazing Grace is a story about a girl named Grace who wants to be Peter Pan in the school play. Although she faces many obstacles, she refuses to give up, even though her skin color and gender seem to stand in her way. By breaking stereotypes and believing in yourself, Reading Rainbow DVDs like this help students push forward. Actress Whoopi Goldberg and boiler mechanic, Sheila Haines tell their story. You can purchase inspiring Reading Rainbow episodes like this with a few simple clicks right here on this page. Or you can browse other Reading Rainbow DVDs for more inspiring stories. 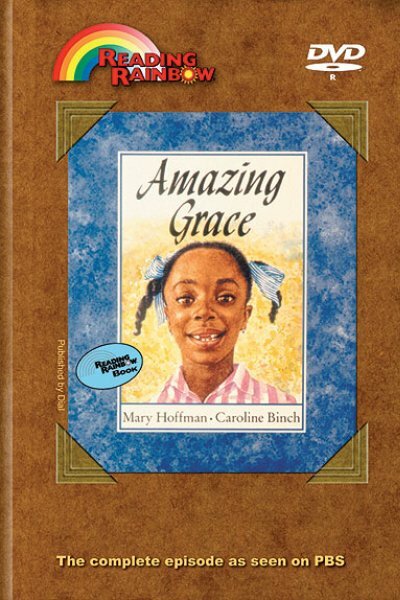 Click here for Theme Lesson Plan -- "Girls Rock"
Click here for Theme Lesson Plan -- "Black History"